The ability to rise in a law firm is – let’s face it – very closely related to productivity. 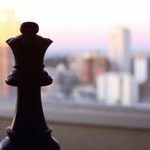 But to move into the real power positions of any organization, including a law firm, you need to show that you can think and act strategically. Connection questions: These questions explore the connection between one action and another, one goal and another, the current v. the future. For example: how would our position on this issue related to our published values systems and how might that affect our brand? How might sponsorship of this event be seen by this particular segment of our client base? How will this expenditure affect our budget for the remainder of the year? Impact questions: These questions consider possible outcomes of an action. What are the risks to taking this step? How might this hire affect the motivation of our other professionals? What are the implications to our marketing strategy to making this acquisition? Tension questions: Often in business there are no obvious actions, only calculated risks. These questions focus on the grey areas of such decisions. For example: If we spend the resources needed to make this happen, what has to drop off our list to make room? If we go this route and it doesn’t work out, what’s our exit strategy? My personal caveat is that the individuals who ask such questions might be branded as road blockers and naysayers when that couldn’t be further from the truth. It is important to push back hard on such suggestions by re-enforcing that this is simply being prudent, and that considering all of the angles is critical to the development of a strong plan. 2. Speak from a point of view rather than an opinion. Asking great questions is a good start, but at some point you’ll be expected to speak. When you do, try to avoid speaking about your personal opinion and instead, focus on a point of view statement. What’s the difference? An opinion is a statement based on personal perspective. “We should expand into Langley. I know from my client base that that’s where the growth is coming from”. Its veracity is dependent on the receiver’s respect for and belief in the person saying it. We’ve all seen practice leaders who take a dictatorial approach to leadership – and it can work…until it doesn’t. Eventually, team members will question the validity of that opinion. Further, they’ll want to make up their own mind and to do tat, they need more substantive information than someone saying “because I said so”. On the other hand, a point of view is a statement based on something that has been evaluated. It’s more factual, harder to dispute, demonstrates consideration and research, and shows logic. For example: “I’ve been looking at our revenue stats by location and I see that over the past five years, our client base has been expanding into Richmond. Meanwhile there’s been no discernible growth of work in Langley. Further, in reviewing stats Canada data, it appears that the population growth in Langley is flat while the population in Richmond has experienced a 25% growth in the past three years. So if we’re seriously considering an expansion, it might make more sense to look at Richmond rather than Langley”. Business growth: these people will be in a position to send work to you directly, or refer you to others. Operational: people needed to get your work done, like your assistant or the head of the copy centre or the receptionist or juniors in your department. Future focussed: these are individuals who have a finger on the pulse of your vertical: they know what the experts are saying, what your competitors are doing, what political or economic or other changes might be coming down the road and how it will affect your business. Career: these people have your back, do what they can to defend or promote you within the firm, or can provide valuable feedback or mentoring to you. Many professionals focus on the first group, to the exclusion of others. Hopefully, you’re starting to see how short-sighted that is. And by the way, maintaining these relationships doesn’t take a lot of time or money. Just pick up the phone, send an email, go to lunch from time to time. 4. Get some coaching. Heermann declared that coaching is the #1 way to build strategic capability. The skills described above can certainly be practiced, but most people are not very good at the level of self-assessment required to activate positive change in behaviours. (By way of example, in the same conference business advice guru Tom Peters told the story of a leader who was asked how many times he interrupted a report in a team meeting. He thought it was three times. It was 25). Self improvement is possible, with particularly disciplined individuals. It will simply take longer than if you had help. And most of us don’t have the self-discipline to do what we need to do. Luckily, there’s help out there, as coaching has become a profession in its own right. Being seen as strategic can be beneficial in terms of growth opportunities. In fact, when the speaker adopted her own advice, she was given four promotions in six years. However the real benefit to thinking and acting strategically is the impact of the resulting business decisions: more powerful programs; less risk, happier implementers, a more respondent client base, a more efficient budget. Best of all, as individuals within your organization see the benefits of your type of thinking, they may value strategic thinking more, and practice it a bit more themselves. Now wouldn’t that be special?